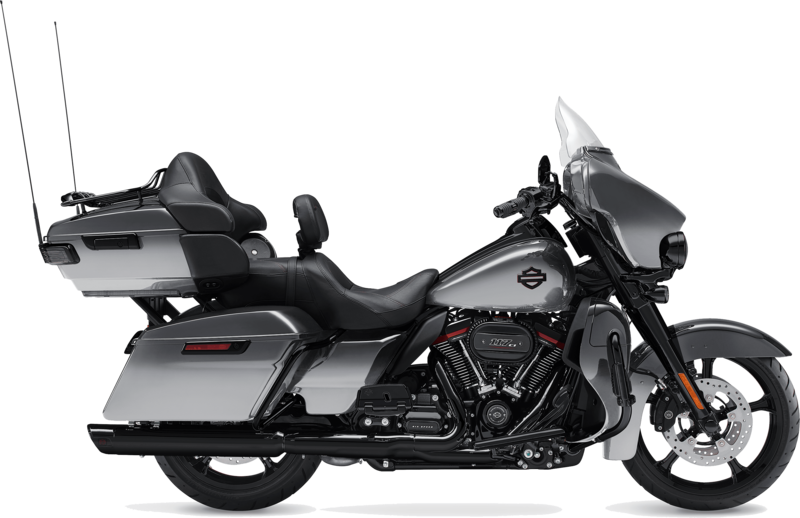 The 2019 Harley-Davidson CVO™ Limited is for sale at Latus Motors Harley-Davidson near Vancouver, Washington. Motivating this 901-pound piece of Motor Company kinetic art is a Twin-Cooled™ Milwaukee-Eight® 117 engine. This new V-Twin delivers 125 ft-lb. of torque to the rear wheels and will power your highway crisscrosses with ease. The 2019 Harley-Davidson® CVO™ Limited also boasts the Boom!™ Box GTS Infotainment System. Stay connected to your device and the road. Other notable features include LED turn signals, LED surround lighting, premium heated seats, and powerful front and rear suspension. Harley-Davidson® poured power, performance, and comfort into their lineup of 2019 CVO™ models. 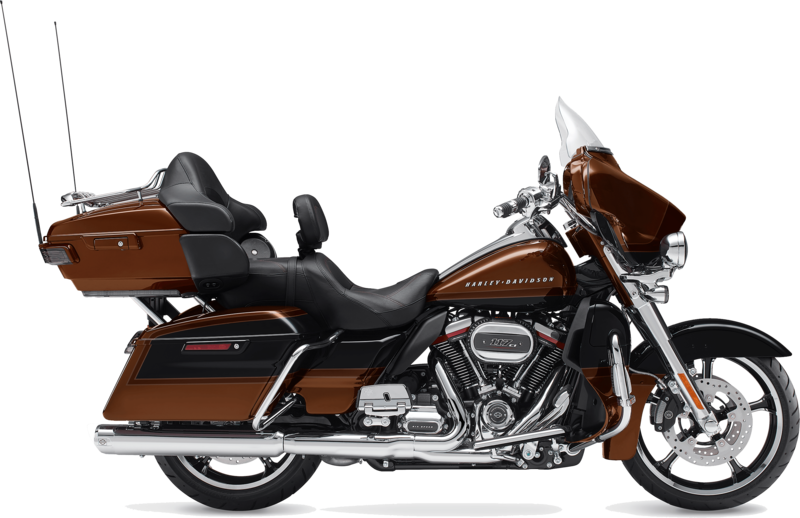 From the Limited® to the Street Glide® to the Road Glide®, there is a Harley-Davidson® CVO™ model that fits your riding style. After you choose your new adventure companion, take the short ride from Portland, Oregon to enjoy an informative test ride. When the highway beckons and the road calls, will you have an answer? The 2019 Limited boasts advanced technology, exclusive components, and show-stopping finishes. 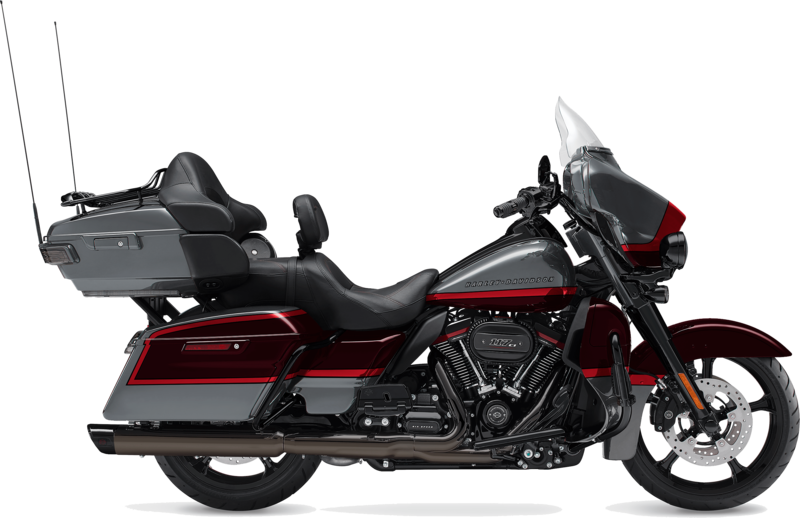 More than a motorcycle, the 2019 CVO™ Limited is a custom touring option. The Tomahawk wheels and Kahuna™ Collection of heated grips, passenger boards, shifter pegs, brake pedal covers and more will transport you in style and comfort. After you pick out the premium paint color and finishes, delight in the color-matched split-stream air vent. A push of a button will open and close this feature to allow smooth air-flow in warmer weather. When the sun dips, merely close the air vent to stay comfortable until you reach your destination. The attention-grabbing LED light fixtures will illuminate your path and your ride. Our helpful staff is waiting to showcase these models to you in greater detail. When you are ready to make your purchase, discover the Harley-Davidson® lease deals happening now. We hope to see you soon at Latus Motors Harley-Davidson. Let us put you in the saddle of a 2019 Harley-Davidson® CVO™ Limited and experience all that this Motor Company example has to offer. Seat Height, Laden 7 28 in. Seat Height, Unladen 30.1 in. Weight, As Shipped 901 lb. Weight, In Running Order 939 lb. Languages "English (US/UK), German, Spanish (Mexico/Spain), French (Canada/France), Italian, Portuguese (Portugal/Brazil), Russian, Czech, Polish, Dutch, Turkish, Japanese"
Hands-free Mobile Phone - via Bluetooth "English (US/UK), German, Spanish (Mexico/Spain), French (Canada/France), Italian, Portuguese (Portugal/Brazil), Russian, Czech, Polish, Dutch, Turkish, Japanese"
Voice Recognition Languages: Phone functions only "English (US/UK), German, Spanish (Mexico/Spain), French (Canada/France), Italian, Portuguese (Portugal/Brazil), Russian, Czech, Polish, Dutch, Turkish, Japanese"
Voice Recognition Languages: Tuner/Media/Navigation "English (US/UK), German, Spanish (Mexico/Spain), French (Canada/France), Italian, Portuguese (Portugal/Brazil), Russian, Czech, Polish, Dutch, Turkish, Japanese"
Text-to-Speech (TTS) Languages "English (US/UK), German, Spanish (Mexico/Spain), French (Canada/France), Italian, Portuguese (Portugal/Brazil), Russian, Czech, Polish, Dutch, Turkish, Japanese"
Custom gauges styled to complement each CVO™ vehicle. Display features odometer, trip A, trip B, range to empty and gear indicator; and larger tell-tale indicators. See motorcycle ownerâ€™s manual for complete details. Prices listed are the Manufacturerâ€™s Suggested Retail Prices for base models. Options such as color are available at additional cost. Prices exclude tax, title, licensing, registration fees, destination charges, added accessories, and additional dealer charges, if any, and are subject to change. Harley-Davidson reimburses dealers for performing manufacturer-specified pre-delivery inspection and setup tasks. Dealer prices may vary. Vehicles depicted may differ from vehicles manufactured and delivered. Specifications and prices listed may differ from specifications and prices of vehicles manufactured and delivered. All product descriptions (including depictions, specifications, dimensions, measurements, ratings and competitive comparisons) are based on available information at the time of publication. Although such descriptions are believed correct, errors and changes can occur, and complete accuracy cannot be guaranteed. Harley-DavidsonÂ® may make changes at any time to prices and specifications, and may change or discontinue models, without notice and without incurring any obligation.Attention: Vehicles in the configurations shown and many of the accessories described in this catalog may not be available for sale or use in some locations. Please check with your dealer for complete product details and the latest information. All models feature 6-speed transmission (V-Rodâ„¢ models and SportsterÂ® models are 5-speed) and carbon fiber belt final drive; multi-plate clutch with diaphragm spring in oil bath; and 2-year unlimited mileage warranty.